Get your new Xerox Workcentre printer half price when you buy it with a full set of high yield toner in our Black Friday week promotion. Buy now, limited stock available - deal ends 26th November 2018. 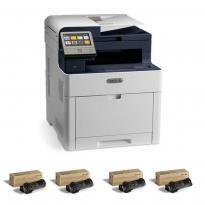 Check out our fantastic Xerox bundles below.